In this world of unsteady partnerships, a sparkling-new kickass truce has been made--- between Russian Christianity and Hip Hop, Ria Novosti reports. That’s right. That satanic, degrading non-music so many of conservatives shake their heads is preaching Christianity in Russia right now. 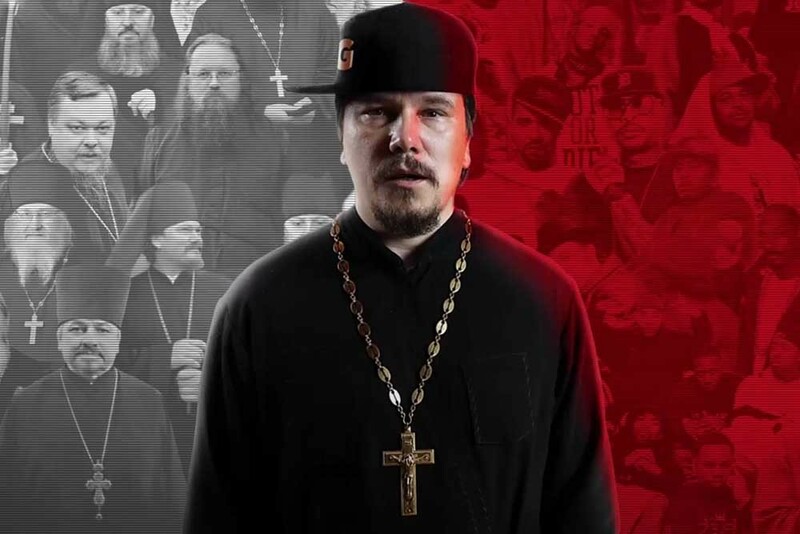 Among the army of rap-preachers, Maksim Kurylenko is especially unusual, specifically because he is both a Russian Orthodox Orthodox priest and a rapper. Though for his parishioners in his parish (mostly elderly) he is just the village priest, he also leads youth department of Cheboksary Region---and there, he is a real celebrity. Fr Maksim was born in Ekaterinburg. Before he became a priest, he was a performer and DJ in a hip hop group called EK Playez. Now, for rap fans, he goes by MC Rector. His songs also talk about elements of street life and offer Christian answers to the cutting questions of street life and survival. Before he went to seminary, Maksim was fully immersed in street culture. He ended up in church because that world just wasn't able to satisfy his spiritual hunger. Today, Fr. Maksim makes a point to speak and work with teenagers; especially those, who have not yet come to the Church. He serves in a village church, leads a local radio talk show called "God is with Us," organizes round tables, reads lectures, and, of course, writes and performs raps. And while Fr. Maksim remains doubtful about wild success stories when teenagers write and claim that they quit drugs and started going to church after hearing his songs, he remains hopeful about the power of rap speak to teens and tell them about God. Though there will always be traditionalists who shake their heads, Fr. Maksim’s church superiors seem to support his music. At least, they don't discourage it, as he says, "trusting" that the freedom to experiment will be used to do good. In fact, the leader of the Russian Church blessed an organization that studies youth subcultures in order to better help and preach to it. One of the organizations' main areas of study is hip hop. Of course, writing Christian rap means eliminating some aspects of classic hip hop (such as cursing and insult showdowns). Fr. Maksim's songs, for example, are not your typical hyper or heart-racing dose of hip hop; instead, there is something hypnotically peaceful about his music. Either way, the Russian Church wants to reach teens and is ready to start speaking to teens in their own languages. Even if that means preaching to a beat. A Christian Christmas in Damascus! Thanks, Santa Assad!